Yesterday I received the autograph of the 2014 Female Ballon d'or Winner Nadine Angerer. I sent it about 3 weeks ago to Brisbane Roar (her Australian club) and received my photo signed. If anyone wants Australian stamps to send to her please pm or email me. Hey she´s a german goalkeeper. 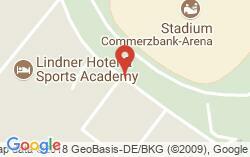 i send her a LOR and SASE on August 4th, 2013 on this adress: Deutscher Fußball-Bund e.V. z.H. Fr. Birgit Möller Otto.Fleck-Schneise 6 60528 Frankfurt Germany and i get it back on August 14th, 2013 Sry i have no envelope! autograph.